Audience Tickets --> Register Now!. Following the successes of previous events, the 5th International Conference on Manufacturing, Material and Metallurgical Engineering, will take place in Osaka, Japan from March 28-31, 2020. The key goal of the conference is aimed at bringing together academicians, scientists, engineers, and researchers working in various disciplines of these fields to exchange views as well as to share their expertise, experience and research results, and discuss the challenges and future directions in their specialized areas of research in these fields. ICMMME proceedings of past three years have been successfully online and indexed by EI Compendex and Scopus which makes the prceedings high value to the Audiences. We look forward to your participation and continued engagement at future ICMMME conferences. Prof. Changduk Kong graduated with a BSc in Aerospace Engineering from the Korea Aerospace University-National (Hons.) and a PhD in Aerospace Engineering from the Osaka Prefecture University, Japan. He worked as Head of the Aero-Propulsion Division of ADD (Agency for Defence Development in1978-1994. He served as Professor at Department of Aerospace Engineering of Chosun University during 1994-2016, and was appointed as Dean of the School of Aerospace and Naval Architecture Engineering in 1999 and 2005-2006, and Dean of the Facility Management Office at Chosun University in 2011-2012. He has served as Visiting Professor at Department of Aerospace Engineering of IIT(Indian Institute of Technology) Kharagpur, India in 2017, Invited Professor at School of Aerospace and Mechanical Engineering of Korea Aerospace University, in 2016-2019, Invited Professor at Summer School of BUAA(Beijing University of Aeronautics and Astronautics), China in 2017-2018, and Emeritus Professor at Department of Aerospace Engineering of Chosun University since 2016. He was invited as Visiting Professor at Department of Aeronautics of Imperial College, UK in 2001-2002. Prof. Kong has contributed greatly to the development of Aerospace Engineering in Korea, primarily through his roles as a non-standing Director of KIAST(Korea Institute of Aviation Safety Technology) in 2015-2018, a non-standing Director of AMRC(UK)-Korea in 2016-2020, CTO of EGT Company, President of KNST(Korea Society for Naval Science and Technology) in 2018-2019, President of SASE(The Society for Aerospace System Engineering) in 2013-2016, President of ICRC (International Collaboration Research Centre in Natural Composites, Chosun University in 2012-2014, President of KSAS(The Korean Society for Aeronautical and Space Sciences in 2010, President of KSPE(The Korean Society of Propulsion Engineers in 2007-2008, Chair of Cycle Innovation-IGTI-ASME in 2009-2011, President of RIME(Research Institute of Mechanical Engineering-Chosun University) in 2006-2008, and First Lieutenant of ROKAF(Republic of Korea Air Forces) in 1974-1978. He has served as Editorial Board Members of IJTJ(International Journal of Turbo & Jet Engines), IJCM(International Journal of Composite Materials), CJS(Chinese Journal of Aeronautics) and AEAT(Aircraft Engineering and Aerospace Technology) since 1998, and Editor-in-Chief of JKSAS(Journal of Korean Society for Aeronautical and Space Science) and JKSPE(Journal of Korean Society of Propulsion Engineers) in 2006-2010. He received the Korean National Decoration in Science, Academic Achievement Awards from KSAS, SASE and KSPE, Defence Science Medals and the 2015 KAI-KSAS Prize for his scientific achievement and contribution to Korean aerospace development. Prof. Kong has authored and co-authored more than 616 papers including 67 SCI journal papers, and has received numerous lecture invitations from companies, research institutes and universities and delivered eleven keynotes and invited lectures at international conferences. He has organized 26 national conferences, forums and workshops and was co-organiser on four international conferences. 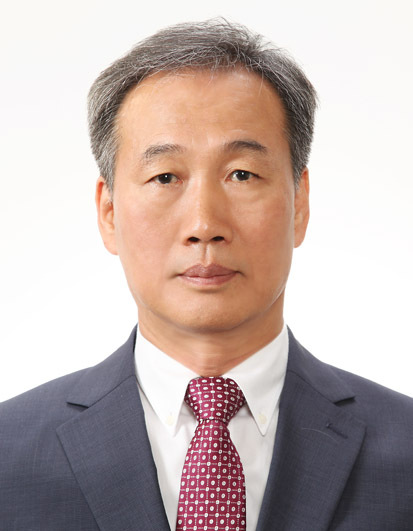 Professor Seok-Soon Lee is the professor of Mechanical and Aerospace Engineering at Gyeongsang National University and the president of The society of Aerospace System Engineering. He graduated from BSc (1982) in Aerospace Engineering from the Korea Aerospace University and MS (1984) and PhD (1989) in Mechanical Engineering from Korea Advanced Institute of Science and Technology(KAIST). Dr, Lee's research interests are structural analysis and testing, optimum design, CAD/CAE and eletromagnetic application in mechanics. Current researches are the high frequency induction hardening and electromagnetic forming simulations with FEA. Dr. Lee has published over 60 journal articles, 11 books and over 250 conference articles. Dr. Lee is an inventor on 11patents and over 10 patents pending. Dr. Lee is a fellow of The Korean Society of Mechanical Engineering(KSME), The Korean Society of Precision Engineering(KSPE), The Korean Society of Automotive Engineering(KSAE) and The Society for Aerospace System Engineering(SASE). He was the Head of Mechanical Engineering Training and Education center(METEC) (2001-2006) and Brain Korea 21 Regional University Promotion Program (2002-2006). He was the Editor-in-Chief of Journal of Aerospace System Engineering and International Journal of Aerospace System Engineering. He is serving the chair of Asia Joint Symposium on Aerospace Engineering 2018(AJSAE2018) on October 31- November 3, 2018, Gyeongju, Korea. Accepted papers will be published into conference proceedings. Content will be submitted to the indexing companies for possible indexing. For the last four years, conference proceedings were published in IOP Conference Series: Materials Science and Engineering(ISSN: 1757-899X) and TTP proceedings. ICMMME 2019, to be online soon.